These brothers square off in a heated grudge match that spawns from their last tag team match up in NewPro 13. Mike Sampson is in his usual red Rocky Top Rocker gear, but his brother Steve is decked out in new black gear. The two brothers waste no time ripping into each other. Lots of high impact suplexes, and slams are dished out between the two. Mike is more aggressive and nasty than ever before. 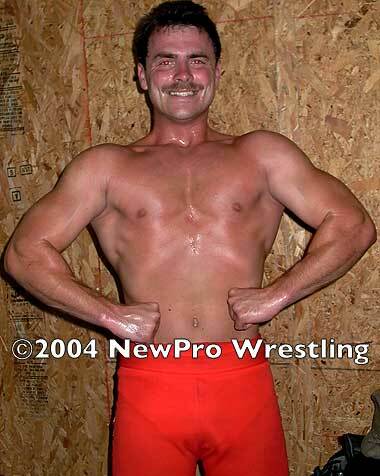 A powerbomb puts Steve Sampson down for a three count but Mike isn¹t done with him yet. He makes one mistake however and provides Steve an opening to mount an offense. It¹s a costly mistake as Mike finds himself on the receiving end of excruciating holds that are applied right in the middle of the ring. Mike makes it to the ropes, but it does him no good his brother just applies another hold in the ropes for extra leverage! One of the brother¹s score another fall after a spectacular flying cross body block. 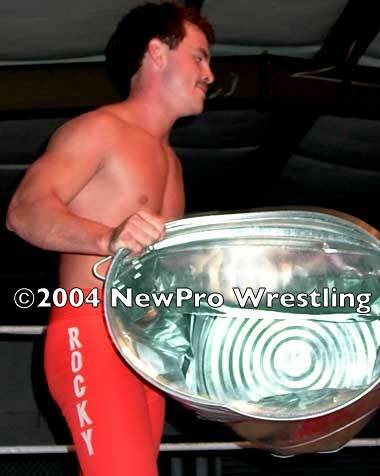 Instead of leaving the ring with the victory a steel trashcan is brought into the ring, and all hell breaks loose! The trashcan is used in several different ways, before it is nothing more than a pile of bent out of shape steel. Multiple submissions lead up to the grand finale of this match up. A sleeper hold finishes off one of the Sampson¹s, and puts an end to this barbaric match.